Current New CDJR Specials Offers | Buchanan Auto Park, Inc. Choosing and financing your next vehicle can be a stressful process, but it doesn’t have to be. Thanks to the rotating Chrysler, Dodge, Jeep, Ram specials at our dealership, you can find a Dodge Charger or RAM 1500 for a price that won’t over-stretch your budget. 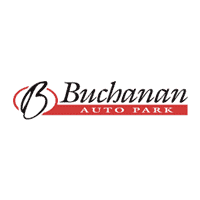 After you’ve taken a look at our new vehicle specials online, it’s time to visit Buchanan Auto Park, Inc. in Waynesboro for a test drive. And if you have any questions along the way about our exclusive offers or new vehicle inventory, reach out to our team at any time. We are here to walk you through the car-buying process and find the new Chrysler, Dodge, Jeep, Ram that’s perfect for you. Auto fans love the backup sensor, rear air conditioning, push button start, remote starter, backup camera, blind spot sensors, parking assistance, Bluetooth, braking assist, and dual climate control of this 2019 Chrysler Pacifica Touring L. It has a 6 Cylinder engine. We're offering a great deal on this one at $36,399. This mini van is one of the safest you could buy. It earned a crash test rating of 5 out of 5 stars. A dazzling granite crystal met. clear coat exterior and a perf lthr buckets seats w s logo black/black/bla interior are just what you need in your next ride. Don't wait until it is too late! Call today to schedule an appointment. Contact Information: Buchanan Auto Park, 11194 Buchanan Trail, Waynesboro, PA, 17268, Phone: (717) 762-1107, E-mail: dodge@buchananisbetter.com. This Granite Crystal Met. Clear Coat 2019 RAM 1500 Rebel might be just the crew cab 4x4 for you. It comes with a 8 Cylinder engine. A timeless granite crystal met. clear coat exterior and a cloth/vinyl low-back bucket seats black/red interior are just what you need in your next ride. The vehicle comes with Bluetooth, letting you access your electronics hands free. Interested? Call today to take this vehicle for a spin! Contact Information: Buchanan Auto Park, 11194 Buchanan Trail, Waynesboro, PA, 17268, Phone: (717) 762-1107, E-mail: dodge@buchananisbetter.com.